Light up your event. Awe your audiences. Impress your guests. Tire out the kids. Come and run away with the circus!!! Frenchy takes professional experience and true passion and simmers them with fire arts, dance teaching and event management to create mind-blowing experiences, events, classes and memories. Frenchy has an extensive background in the youth, social, dance and circus fields and over 20 years experience of event and festival management. 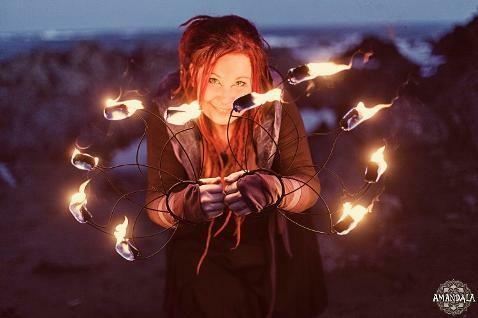 She can offer daytime, fire and LED performances and immersive and fun workshops for all ages and abilities.